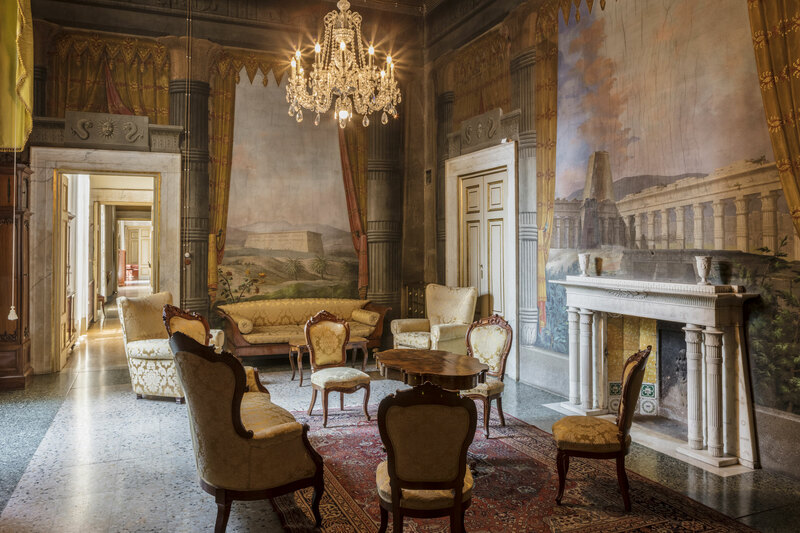 The Egyptian or Music lounge was painted by Gaspare Bargioni, a Florentine decorator, under the commission of Maria Luisa of Bourbon, Duchess of Lucca. On the left wall the “Colossi of Memnon”, a monument located on the west bank of Thebes, representing the pharaoh Amenhotep III. The tent on the front wall shows an Egyptian landscape of mountains and green hills, with a large building in the centre. 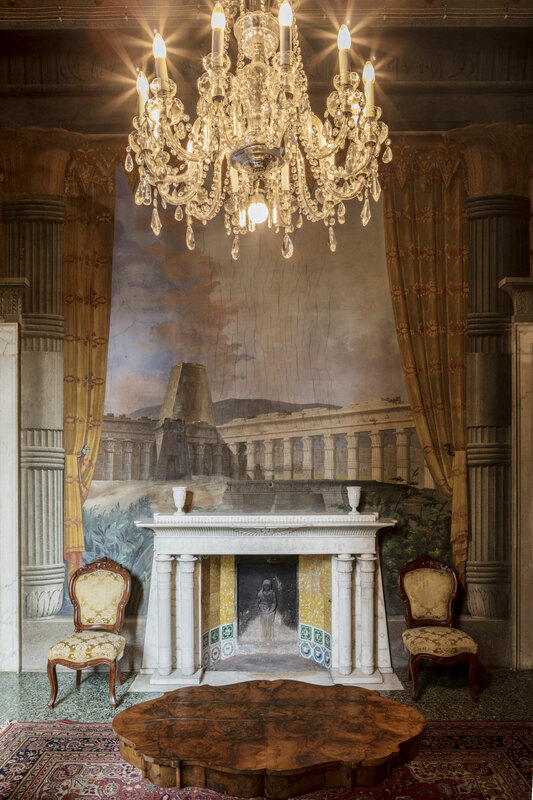 The fireplace, made in Carrara, was designed by Lorenzo Nottolini (1787-1851) with double columns covered with fake hieroglyphics. The wall painting with visions of temples derives from the Voyage by Denon. The porch is from the Edfu Temple. On the right wall there is a painting depicting a beautiful coloured panel by Denon representing Minia, a little town in Middle Egypt.